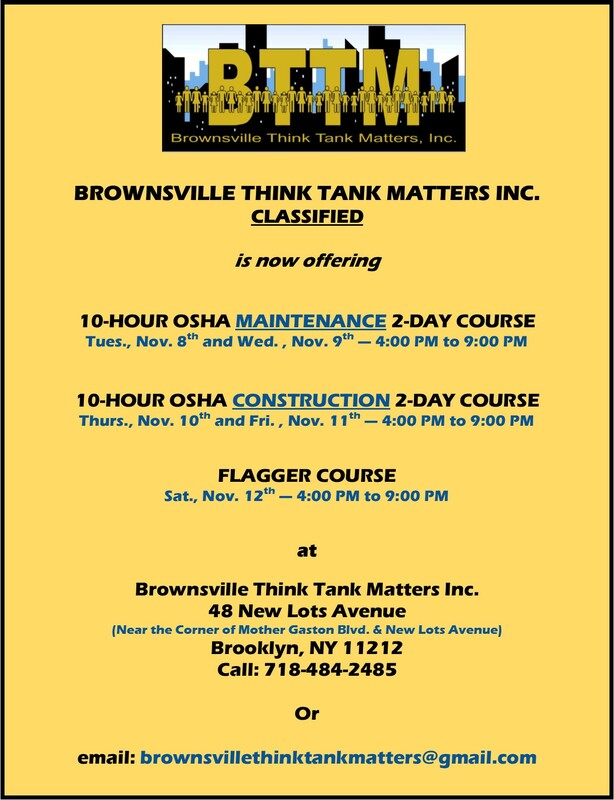 HomeBTTM CONSTRUCTION TRAINING OPPORTUNITIES. CALL NOW–SPACE IS LIMITED! ← BTTM introduced its Schools for Peace Curriculum on critical thinking, conflict resolution and mediation skill-building over a four-day period exclusively to Brooclyn Way participants. This workshop was facilitated and completed at the Brooklyn Public Library’s Brownsville Branch on 10/03/16. See photos of participants and BTTM Staff below. Much thanks to the Brooklyn Public Library staff.